Hi – my daughter and I were there a couple months ago, and looked at a metal tree sculpture that hangs on the wall. You had 2 sizes. I told my daughter I’d get her this as a housewarming present, and the time approaches! Can you tell me the prices on this, both sizes? And can you send a picture? 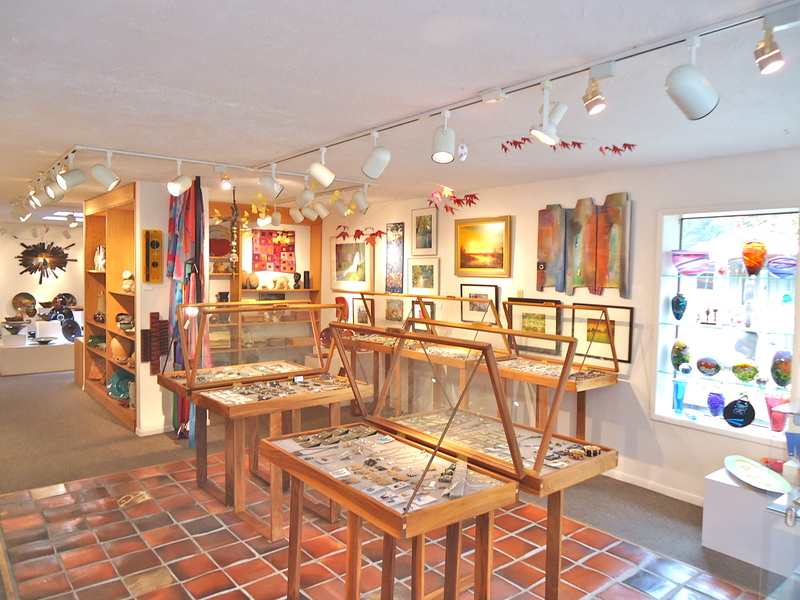 Earthworks Gallery is really special. Working with Kim has been fun and rewarding. She is knowledgeable about the art pieces, and the artists they represent. We will always appreciate the bold patterned black and white earthen ceramic collection we found with Kim’s guidance. I will shop with my clients for their finishing touches here as well. Thank you, for being our top pick gallery for unique art in ceramic glass and wood. Thank You! Julie and Stan. JJames Designs.